The artificial pancreas is a system that measures blood glucose levels on a minute-to-minute basis using a continuous glucose monitor (CGM), and transmits this information to an insulin pump that calculates and releases the required amount of insulin into the body. It consists of three essential components – a glucose sensor system, a control algorithm, and an insulin infusion device. This system is more effective than conventional insulin delivery devices as it automates insulin dosing based on blood sugar levels. Key companies in this industry are focusing on developing such systems. 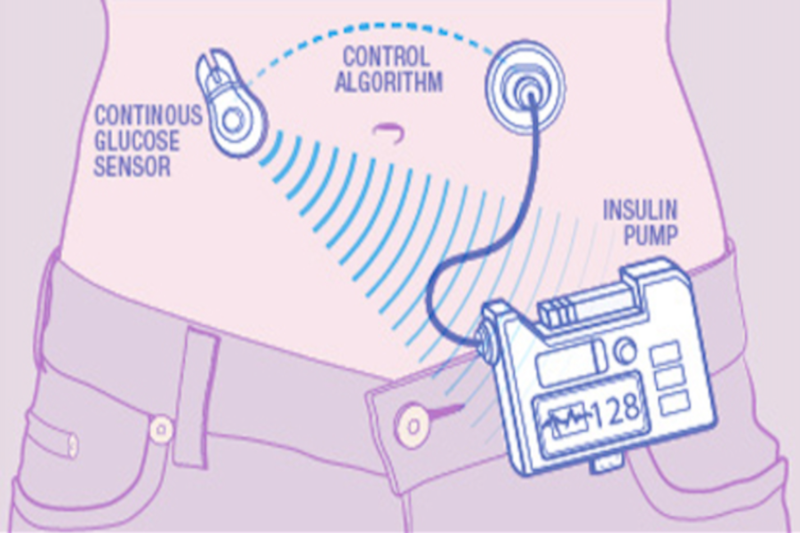 Medtronic recently gained US FDA approval for its artificial pancreas system, MiniMed 670G. DIABETES CARE DEVICES MARKET TO GROW TO $28.5 BILLION BY 2020 ACCORDING TO THE BUSINESS RESEARCH COMPANY. The Business Research Company expects the diabetes care devices market to grow to $28.5 Billion in 2020. The Americas was the largest geographic market in the diabetes care devices market in 2016, accounting for $11.1 billion. According to The Business Research Company’s Medical Equipment Consultant, Sandeep Kumar Bejini, growth in emerging markets has driven the diabetes care devices market. According to the World Bank, the world’s middle class population – defined as that earning between $10 and $100 per day – increased from approximately 1.5 to 2 billion between 2011 and 2015. Demand for diabetes care devices in emerging countries, such as India and China, is high due to the presence of a large diabetic population in these countries. High demand coupled with increased numbers of people with disposable income has raised the market for these devices in emerging markets. Novo Nordisk was one of the largest in the global diabetes care devices market in 2016. Novo Nordisk mainly researches, develops, and manufactures pharmaceutical products. Novo Nordisk generated revenues of $12.73 billion for the financial year 2015. Novo Nordisk’s growth strategy seeks new innovations and developments in their product line. The company launched Saxenda, phase 2 and 3 of semaglutide, and Tresiba in 2015. In 2016, Nova Nordisk is set to introduce Victoza. The company is also expanding its productivity of diabetes, obesity and haemophilia products. 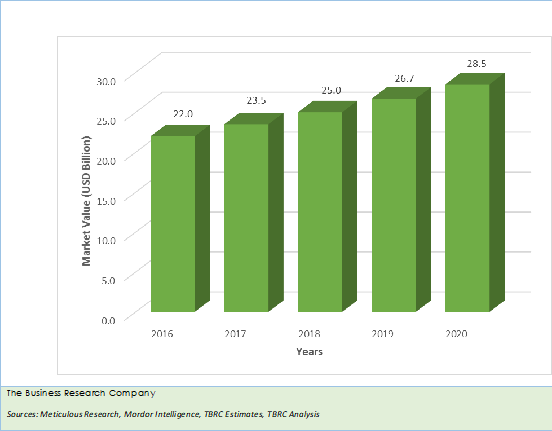 The chart below shows the year-on-year growth of the global diabetes care devices market during 2016 - 2020. The diabetes care devices industry manufactures blood glucose monitoring devices and insulin delivery devices. Diabetes care devices are designed to diagnose, monitor or manage type I and type II diabetes mellitus. Diabetes is a chronic disease that occurs either when the pancreas does not produce enough insulin or when the body cannot effectively use the insulin it produces. Insulin is a hormone that regulates blood sugar. Diabetes Care Devices Global Market Briefing is a detailed report giving a unique insight into this market. The report is priced at $1000 for an individual user. To use across your office the price is $1500 and $2000 if you wish to use across a multinational company. About The Business Research Company Visit TheBusinessResearchCompany.com, mail info@tbrc.info or call +447443439350 or +918897263534 or +919160996838 for more information on this and many other titles. The Business Research Company is a market research and intelligence company, which excels in company, market and consumer research. It has research professionals at its offices in the UK, India and the US as well a network of trained researchers globally. It has specialist consultants in a wide range of industries including manufacturing, healthcare, chemicals and technology. The Business Research Company's management has more than 20 years of varied business research experience. They have delivered hundreds of research projects to the senior management of some of the world's largest organizations.